As the snow is just beginning to melt and the sunshine starts peaking through the clouds, its not hard to tell that spring is emerging! But what can feel like such a breath of fresh air for some, can be a complete nightmare for others. Spring is often a rude awakening for those who suffer from seasonal allergies. I’m sure we have all witnessed someone with seasonal allergies if we haven’t suffered through them ourselves. They tend to have cold and flu like symptoms (sometimes worse), but with none of the hope that comes from knowing that the cold will soon pass. Allergy symptoms have the potential to last in adults from February all the way until the late fall season. Most allergy sufferer’s biggest hope for some relief are over the counter antihistamines and decongestants which usually come with side effects, like drowsiness. They are not guaranteed to bring total relief either, they're more of just a "quick fix" that avoids the root of the problem. 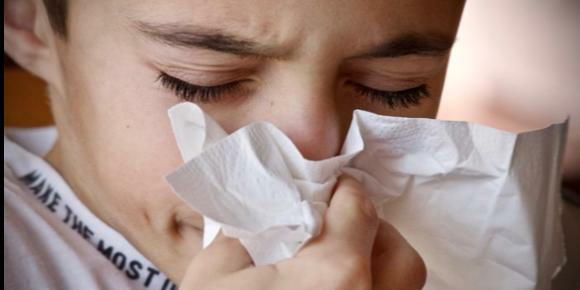 Some allergy sufferers may decide to opt out of going outside altogether! But for those whom actually like the great outdoors, this may not be the most effective or desirable option. Most people are under the common assumption that allergies are a lifelong condition, which is not necessarily true. Like many other ailments, the reason causing you to suffer from allergies may be stemming from an unhealthy gut, or more so a gut that is lacking in biodiversity. This may be surprising to hear, your gut is the mystery behind all those years of seasonal allergies? But there is a compelling amount of recent research strongly suggesting that poor gut health is indeed related to seasonal allergies, and even common food allergies. Seasonal allergies are the result of your immune system overreacting to common and harmless substances in the environment, like pollen and pet dander — which present themselves much more in the breezy and rainy spring months. You breathe in these substances, your immune system then treats them as if they are a threat and goes into overdrive and releases chemicals that cause inflammation in attempt to rid them from your system, which is the reason for your sneezing, congestion and itchy eyes. Your question may be, why is my immune system in particular, choosing to overreact? Well, being that your digestive tract is home to 80% of your immune system, (and everyone’s digestive tract is relatively different) it is important to examine your own gut when looking for a cure for your seasonal allergies. Biodiversity within the digestive tract is essential for preventing allergies amongst many other problems and ailments, even asthma. A 2016 research study out of the University of California, San Francisco found that babies who were lacking particular gut microbes at one month old were three times more likely to develop allergic reactions by age 2. The microbes that were missing, are thought to play a vital role in stabilizing the body’s inflammatory response. In order to keep your gut healthy, you must practice habits that will keep the environment of your digestive tract alkaline, the perfect state for biodiversity amongst the many bacteria that call your gut home. The key is to feed the good, protective bacteria and creating an unappealing environment for the bad ones. Yet, there is still a balance that must be maintained between good and bad bacteria in order for alkalinity to exist. We can truly be our own worst enemy or our strongest supporter when it comes to our gut health, it is effected by everything that we eat and can have a huge impact on our overall quality of life. The myth that seasonal allergies have to be a lifelong issue is being challenged. If allergies are something that you're suffering from, you must take action towards improving the health of your gut.